ZTE has expanded its Spro line of tablets with the Spro Plus; an 8.4-inch tablet that packs plenty of bells and whistles. 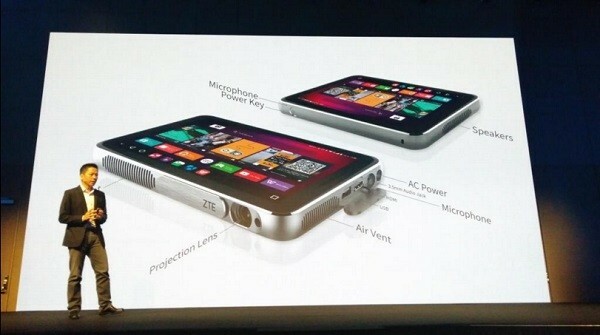 The new ZTE Spro Plus isn’t even the first ZTE tablet to have a built in projector, as its predecessors – the Spro and Spro 2 – were already fitted with the feature. 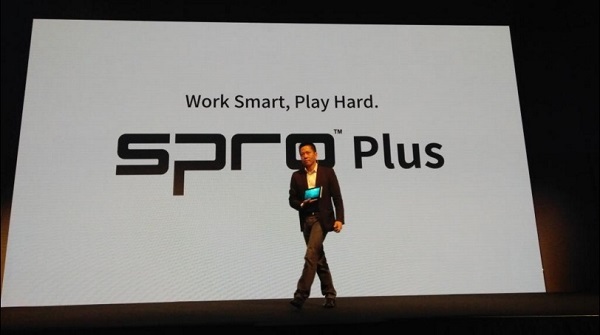 Of course, the Spro Plus is the first of its line to actually look like a proper tablet, so it has that going for it. The Spro Plus brings a new 2K display to the line up, and similarly boosts its other internals to keep up with the demands of the additional resolution. Inside is a Qualcomm Snapdragon 801 processor with 3GB of RAM. Internal storage comes in a choice between 32GB and an impressive 128GB. 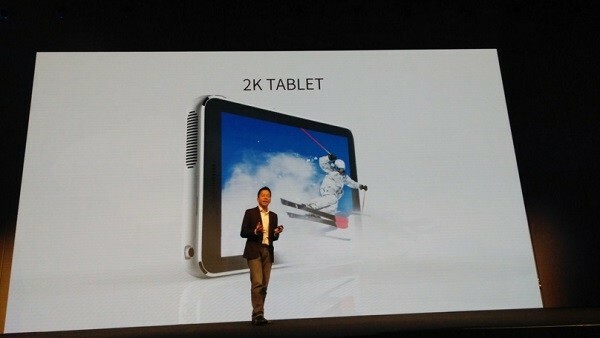 If that isn’t enough, the tablet is also capable of responding to voice commands. Battery life has also been improved to increase the amount of time the projector can be turned on. The ZTE Spro Plus packs a massive 12100 mAh battery, which will apparently allow the 500 lumens projector to run for up to four hours at a time. Unlike other tablets that pack projectors, the Spro Plus also features a cooling vent, which unfortunately translates into a rather thick device. A WiFi version of the ZTE Spro Plus is set to be released in Q2 2016, although no price tag has been revealed yet. ZTE has also promised an LTE version at some point later this year as well.